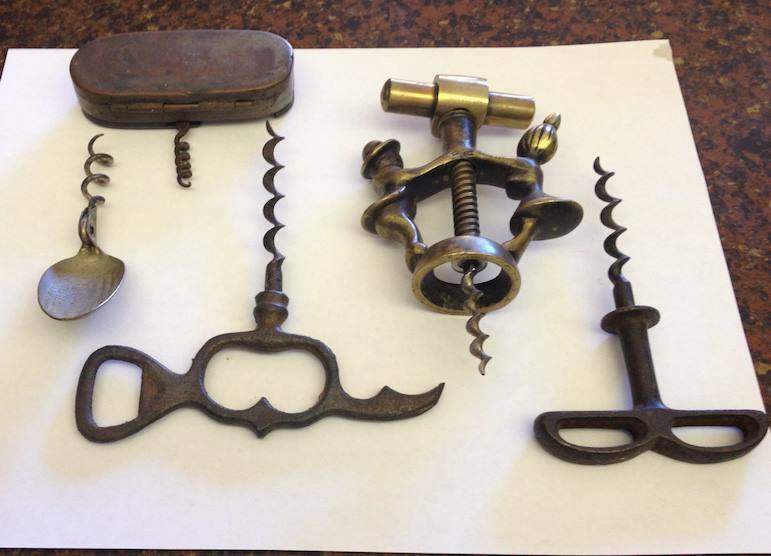 Over the past few weeks, I have been engaging in an messaging exchange with a corkscrew collector who is wanting to part with their collection. I have picked up a couple for myself, and then have shared the photos of the collection with some near and dear friends. And, I have played the broker on the collector’s behalf with the usual suspects. A few to Tommy, one to Webby, some to RL, one to Leon, and a few that will stay on the island. Here is the latest lot. On the wine shop front, we are fully licensed, partially stocked, and soon will be ready to re-open our doors. But, given that Brimfield is coming up, we decided to put off opening for an extra couple of weeks, and will officially be open on May 20th, or 21st… Lots of new wines, as we have added on two new vendors. So, if you happen to need a bottle of Baileyana Chard, Tangent Sauvignon Blanc, or Gelida Cava, amongst many others, we will be able to take care of you. Wow! Now, that was an epic battle. 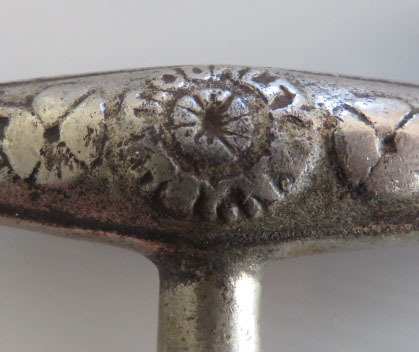 For those of you that missed the first two days of the collector corkscrews auction, there were some great pieces to be had, and a few bidding wars that were fun to watch. The Frary Fifth Ave, went pretty high (actually the highest auction result on a Frary corkscrew thus far on the auction) with Maurice going toe to toe with Ion, and ending up victorious. Another bidding war erupted for the folding Mumford. This is a piece that I really want, but this went way beyond my limit. Again, it was Maurice and Ion going at it again. 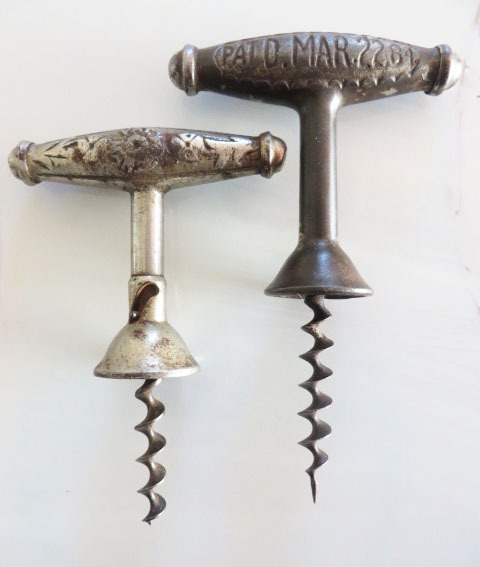 Maurice, really has a love of prong pullers, and Ion, of course, is determined to have an example of every corkscrew known in his museum. This time Ion was triumphant. I didn’t win a single lot, but I have my eyes on several lots ending this next weekend. Stay tuned! The auction is upon us. Bid High, and Bid Often! You can check out the auction here! The lovely personal personal trainer and I are headed off island for the day, and perhaps a little antiquing will be done in between errands. If anything turns up, I will report back here. And, of course, I will report back on the auction! 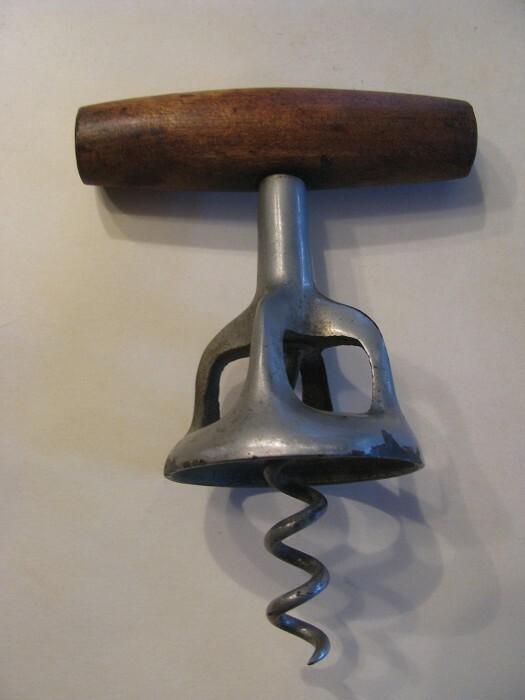 Several years ago, I was shown a corkscrew which the dealer believed to be of German origin, and I believed to be of American origin. His price was pretty steep, and I knew better than to ask for a lower one. He–affectionally known as the “exploding antique dealer–had a tendency to suddenly erupt at his customers. He would bellow at them to get out of his store! And, on one occasion, at an estate sale–I was in line 4 people behind him–after waiting a fairly long time, he screamed and started to kick in the front door of the house. He then stormed off fuming! Still, occasionally he had corkscrews, and on one or two occasions, they would be worth buying. 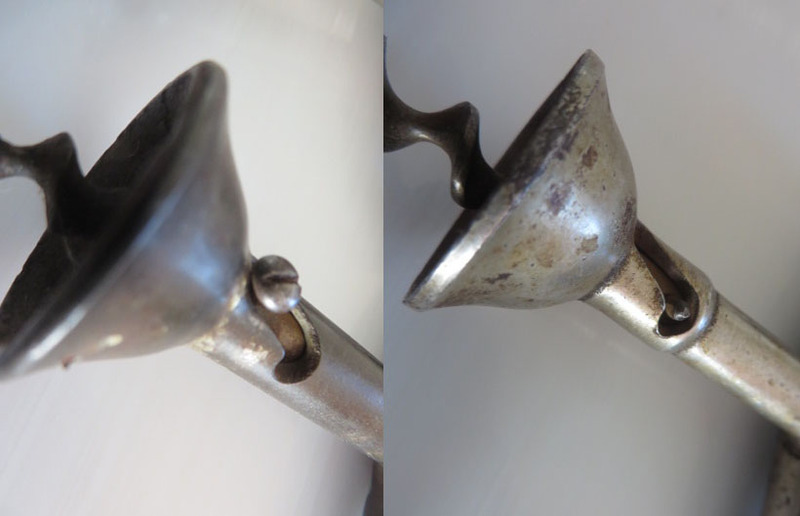 Interestingly, after he moved his location and opened a mall, the corkscrews were now kept behind a counter, and he reluctantly would show them to perspective buyers. So, almost nine years ago–nine years ago tomorrow–Sue and I were visited by a corkscrew collector, who bought a few things from me, and then he and I went out antiquing. And, one of our visits was to the exploding antique dealer’s shop. 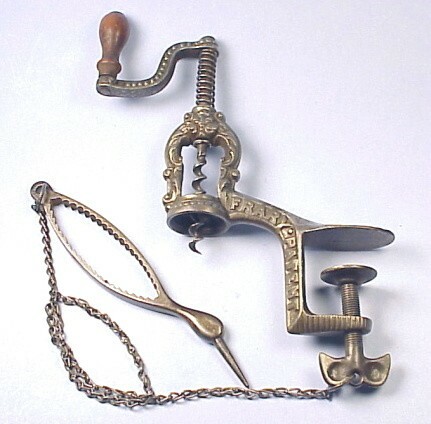 Corkscrews were examined, and prices were not challenged. After a small pile of twisted treasures were accumulating, a carved tusk corkscrew with a fairly high price tag garnered my friend’s interest. He asked for a better deal. And, you could see the antique dealer begin to swell. His face started to turn a bit red. (I actually took a couple of steps back in anticipation of what was coming) But seeing the pile of corkscrews that were about to be paid for, he managed to contain himself. Calmly, he countered the offer, and a price was agreed upon. Cash changed hands, and we said our goodbyes, and the dealer asked me to come back later. 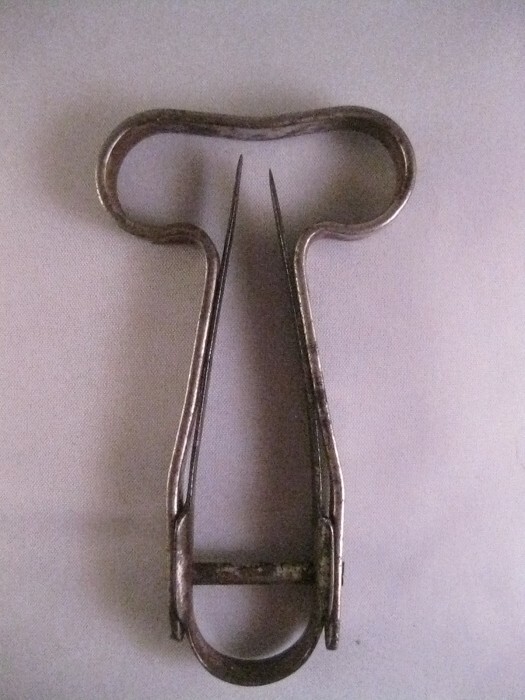 After dropping my fellow collector off at his accommodations, I returned to the antique mall, and the dealer presented me with the oversized corkscrew, and thanked me for bringing in someone who was so willing to buy. 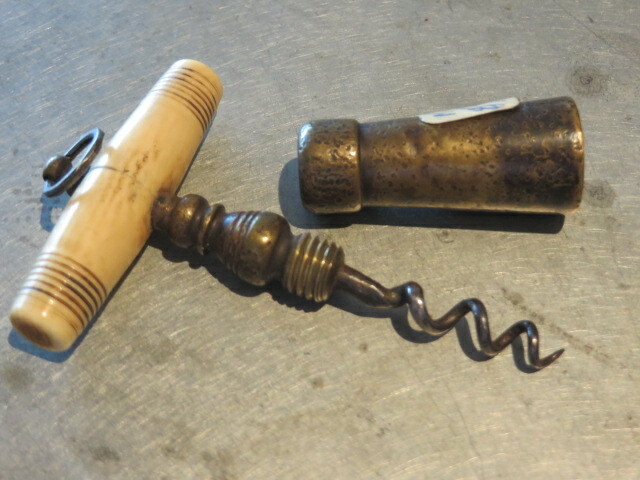 At that point in my collecting, I had never seen another example of this particular corkscrew, so that day I blogged about it, and posted some photos on the Yahoo page of the CCCC (yes, we had one of those back then). And, shortly thereafter, I received a phone call from another collector who apparently coveted the oversized piece–which turned out to be a Walker bell–that I was given as a commission. So, I traded it away. 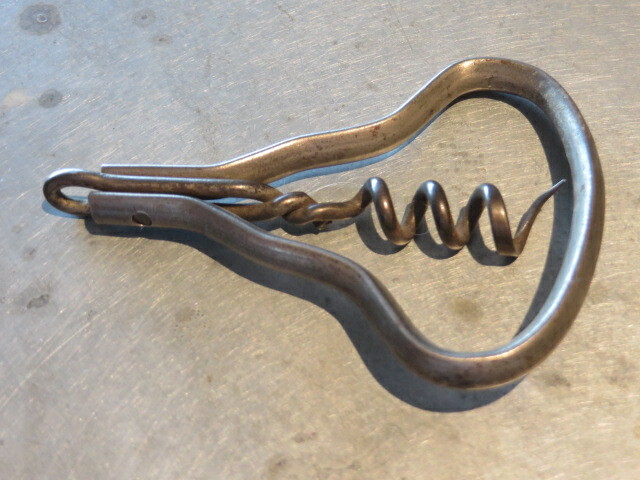 And, in return got a hard to find American patented corkscrew that made my best 6 of that year. Still, I regretted making that trade a bit, as later I had come to understand how hard a piece the oversized Walker bell corkscrew was to come by. This morning, almost nine years to the day that I got the corkscrew, the oversized Walker is returning home. 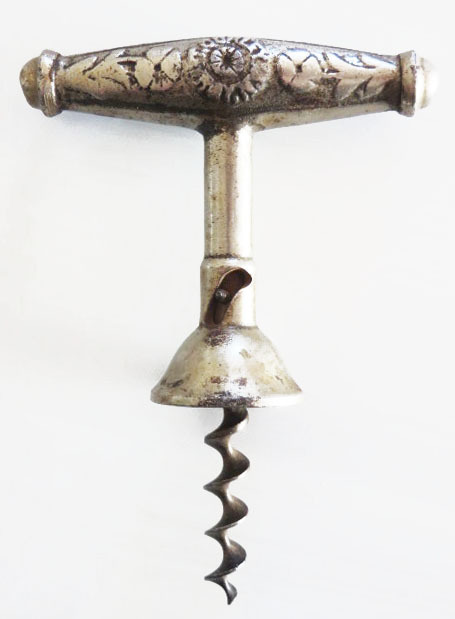 Yes, the same collector who traded for the oversized Walker, put it up for sale on the collector corkscrews buy now site! And, I just happened to pop online and see it! For a very fair price, the oversized Walker is heading BACK into the collection! As mentioned over the last few days, I was offered a small collection of corkscrews, and thus far a couple of deals have been struck. Other deals are still in the works, and I have no doubt several other corkscrews will soon be heading to the island, as well as other parts of the world, as Leon, Tommy, Peter, Robert, and others have expressed interest in owning one or two from the booty. The ribbed Ivory and Silver piece will be heading into the lovely personal personal trainer’s corkscrew collection. The picnic/perfume will be heading to Leon’s collection. A very cool little piece! And, the two bows will be added to my collection. This one is pretty cool, and fairly uncommon. After looking closely at it, it looks to be signed BTE S.G.D.G. 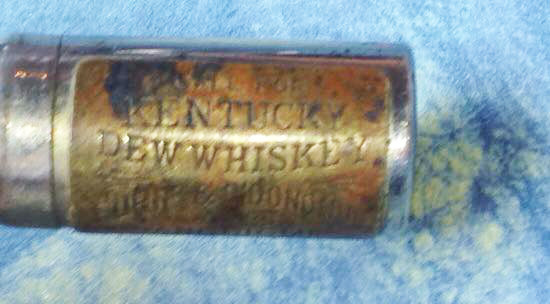 The other bow, is indeed another Barnes patent, marked across the handle with the patent date, PAT. MAY, 27. 84. How could you not need another Barnes? Negotations for others are ongoing! The lovely personal personal trainer and I headed off island yesterday, for a little getaway. Just one night off island, and a little antiquing along the way. 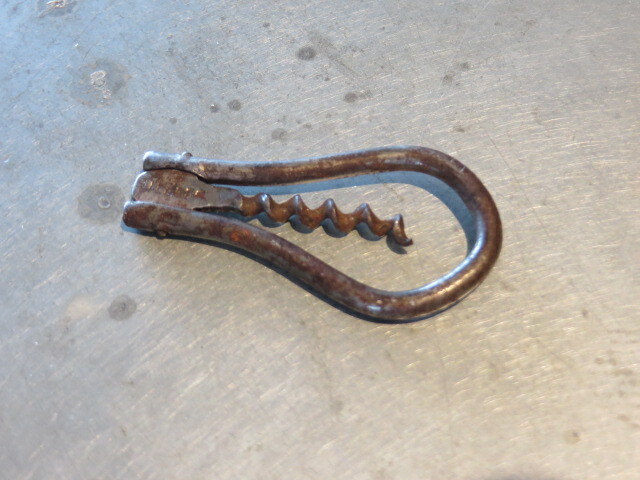 Not many corkscrews were found at the first couple of spots, and with it early in the season, many not open. 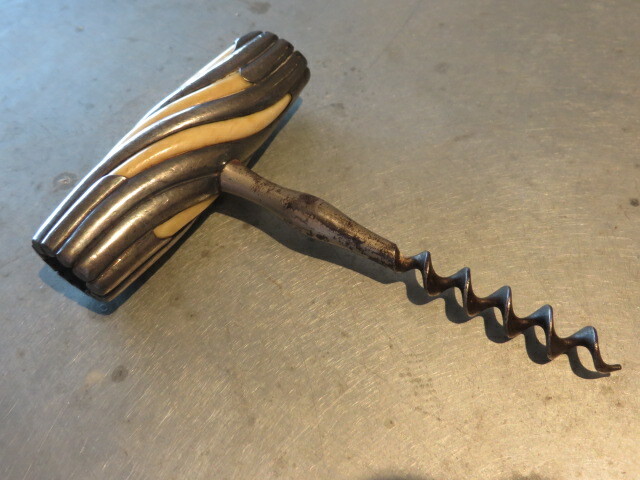 Still, we did manage to find one corkscrew worth buying, and it was a pretty darn good price. 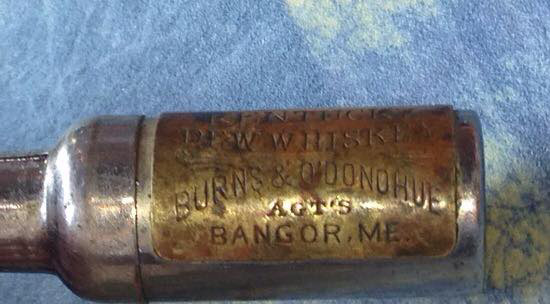 Cool, that there is a Maine connection! This morning, after coffee and breakfast, we will begin the journey home, but may make a few stops along the way. Who knows what will turn up next. These two are enroute to the island. Any one recognize the bow on top? The auction will soon be starting! 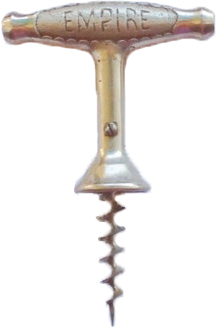 The latest collector corkscrews auction will soon be up and running. Lots will be available for viewing starting tomorrow! 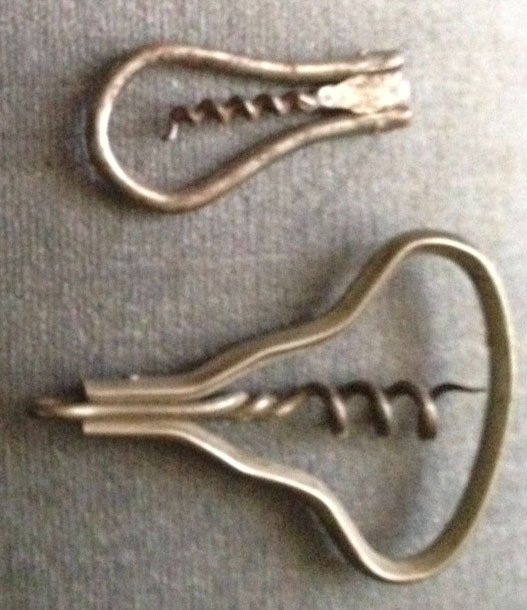 What corkscrews will change hands? Who will go to battle for the rarities being offered? Will Tommy finally take down Fotodeal? So many questions. So many corkscrews! Be sure to check out the auction starting tomorrow! Need a sneak peek? Here are a few! I spent the greater part of yesterday working on the cabinets (shop counters) at Island Spirits, and in the afternoon the lovely personal personal trainer stopped by with a nosh. And, shortly thereafter with the mail, which included a package from RL. It seemed the Curley had arrived, but given I was involved in prepping, sanding, and painting cabinets, and was also working to get a counter installed, the box headed home with the lovely unopened. After a few coats of paint, and some other chores at the shop, I headed home and after a few more chores, eyed the RL box. 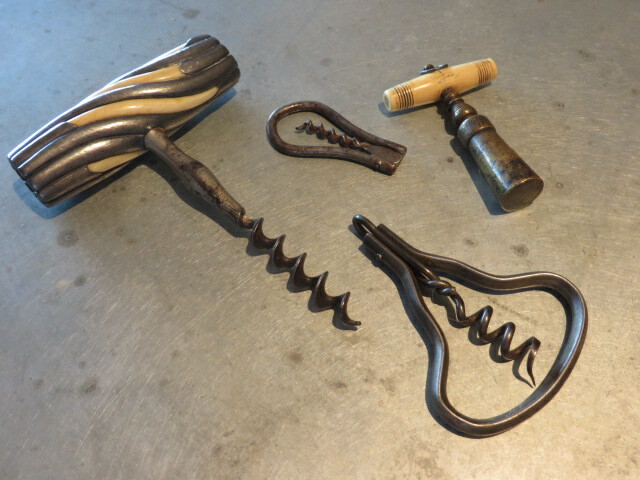 Opening it up, I was quite pleased with the Curley corkscrew mentioned the other day. 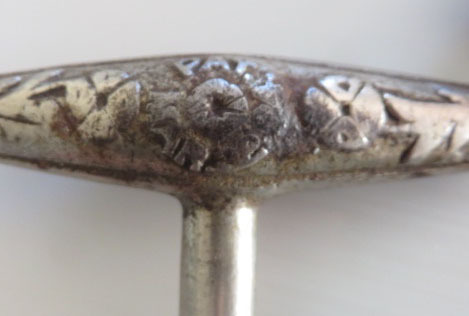 The handle, which is really the key thing here, is embossed on both sides. One with the patent date PAT MAR 22, 84 (the wrong patent date; the correct one is April 22, 1884) and the other side with T. CURLEY TROY N. Y. 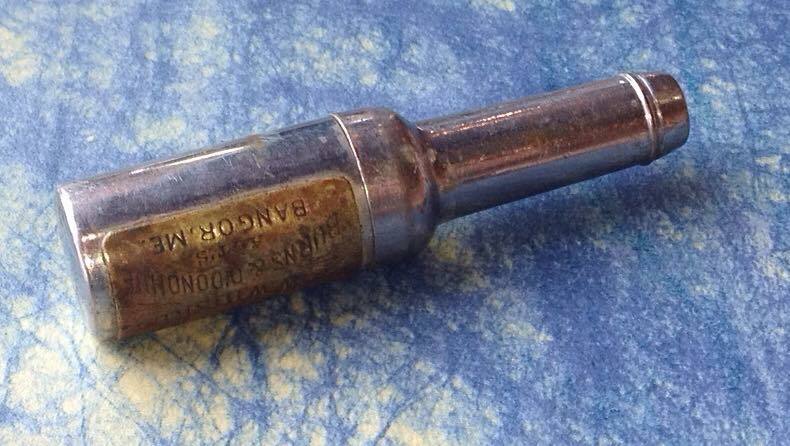 After looking at it closely (and I am quite pleased with it) I decided to pull out the other version of the Curley that has the embossed patent date (also with the wrong patent date, the correct one is still April 22, 1884) across the handle and compared the two. Both work on a similar principle, the handle and bell are integrated, and the worm moves up and down. This movement possible, due to the slot in the bell, and a screw or pin within that slot. Still, comparing the two they have further differences. They are slightly different in size, and from the photos you shaft is clearly different. And, in the bell photo, the bell on the left is the Curley with the date across the handle, and the one on the right is the latest arrival. The Curley on the left also only has one slot and a screw, where the one on the left has two slots and two pins. A great addition to the collection, and one that might indeed make the best 6 of the year. Thanks for the trade RL! Now, if I could only get that Curley that is marked EMPIRE across the handle. Anyone have an extra? Do me a line. 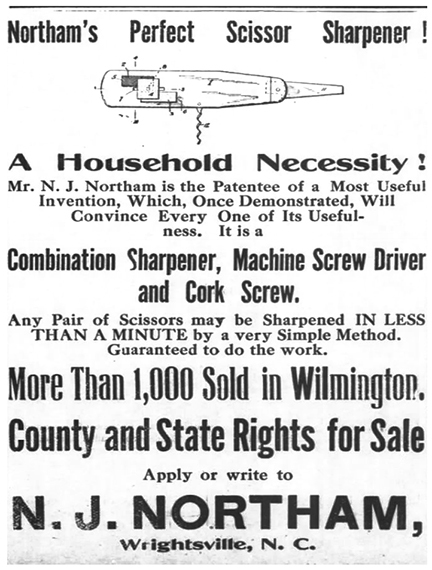 Northam’s Perfect Scissor Sharpener ! With more than 1,000 sold in Wilmington, clearly these were produced. Well, at least a 1,000 were, yet this is one of those pieces that isn’t pictured in O’Leary–although the patent drawing does appear in the back of O’Leary–and one hasn’t been shown in the two updates that have followed (O’Leary, 2009, and Morris, 2012). Do you have one of the 1,000 that Northam claimed to have sold? Should we start scouring Wilmington to discover one? is a Roadtrip in order? 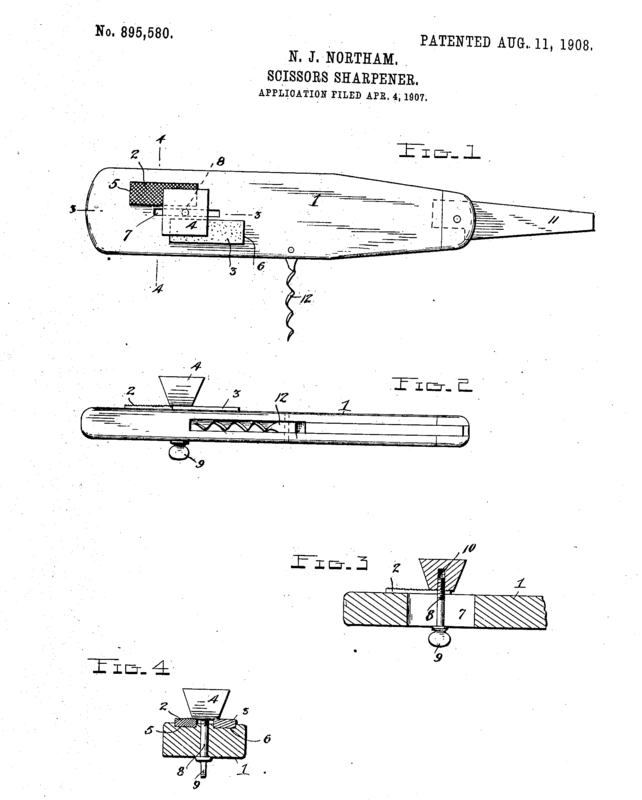 Do you have an example of Norman J. Northam’s patent of 1908 (#895.580). 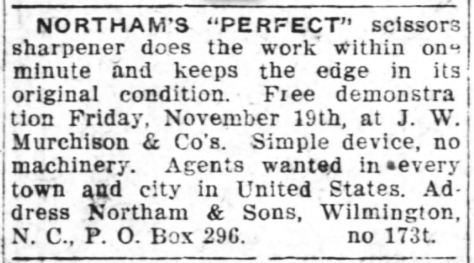 If so, drop me a line with a picture of your Northam’s Perfect Scissor Sharpener, and I will add your photo to the blog.